When balancing changing priorities in your business, keeping up with day-to-day marketing operations can be difficult. On top of that, it can be easy to keep your marketing activities running on the status quo, but it’s as important as ever to be aware of new technologies, tools and best practices to ensure your marketing efforts thrive in 2019. One considerable advantage that digital channels provide is to allow for extremely specific personalisation. As the old adage goes, if you want to try to appeal to everybody, you’ll appeal to nobody. With the availability of data such as social media activity, website behaviour, purchase history and more, customised content has never been easier to create. Businesses like Amazon and Netflix have built their business model on leveraging AI to drive tailored recommendations, but this is also accessible to smaller businesses who still want to make an impact. “Just in time emails” – A common example of this is often used in e-commerce and involves sending a user a follow-up email if they have products in their cart that they’ve not yet completed. Due to the fact they’ve already reached this stage of the process, you can know there’s high buying intent, and these users would be much more likely to convert than a new visitor to your homepage. Product recommendation emails – Rather than requiring your team to handpick recommendations for each customer and communicating this on an individual basis, email marketing tools like MailChimp can help increase sales per email open by an average of 150% by integrating directly with your e-commerce site and drawing tailored recommendations based on purchase history. In a relatively short period of time, influencer marketing has emerged as a significant part of the digital marketing mix. While it’s certainly not devoid of issues and risks, influencers that already speak to your target audience can be a fast way to drive brand awareness and business results. 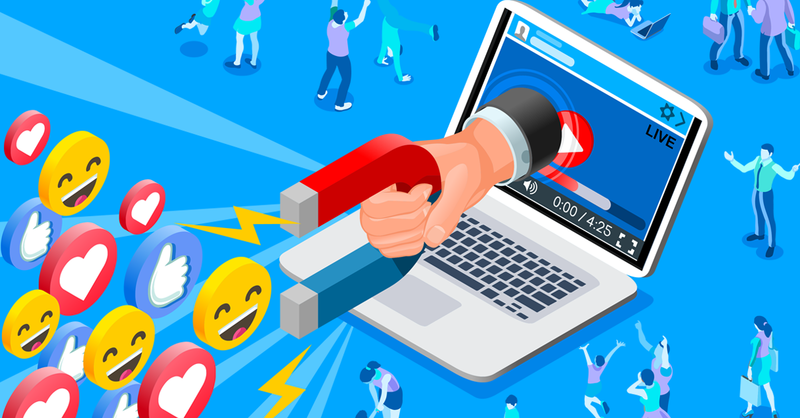 This can range from mass market Youtube personalities to micro-influencers that speak to a smaller, more specific community. 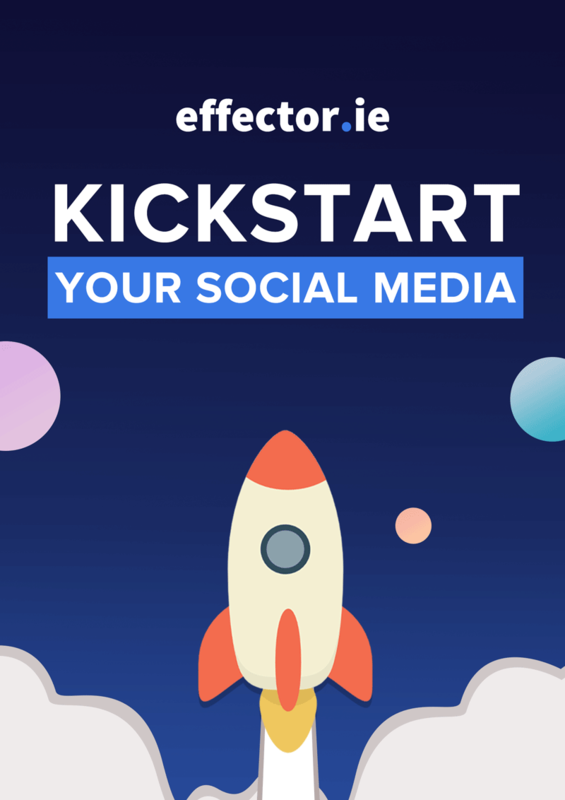 A great case study of influencer marketing in use in Ireland is Penneys (Primark) as featured on Fora.ie, in which they discuss how influencer marketing activities have helped them grow a significant social media audience of 13 million. This was done while shunning e-commerce and opting to drive customers in-store where average order values are greater. We’ve also seen the rise of what’s become known as the “Entrepreneur Influencer”, whereby influencers have opted to start their own brands & businesses instead of working with established brands in a sponsorship capacity. In all, businesses wishing to take account of this marketing channel must ensure they retain a focus on return on investment (ROI). Large payouts to influencers have made this a lucrative industry, which in turn has led to fake sponsored posts whereby “wannabe” influencers attempt to kick-start their career with what looks like sponsored content, as well as purchasing fake followers, a practice Instagram has recently moved to crack down on. According to research published by Influencer Intelligence and Econsultancy, 82% of companies are unable to integrate influencer marketing into their broader ROI calculations yet despite this, the vast majority believe it is a critical channel for success. With celebrities such as Will Smith jumping on the digital bandwagon last year, the industry is set to mature and the concept of an influencer could potentially lose some of the negative stigma received over the last number of years. 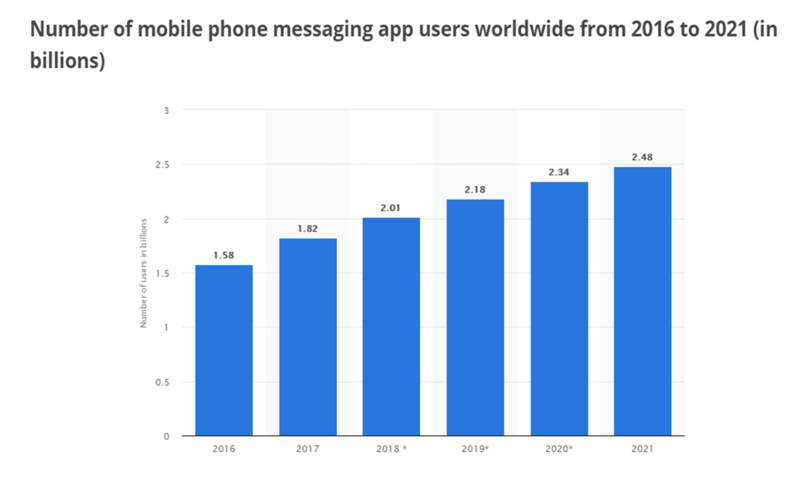 While not as much part of the social media conversation over the last year, social messaging apps have continued to become a significant part of the social media landscape. With month Facebook messenger users exceeding 1.3 billion monthly users and 1.5 billion monthly active users on Whatsapp, there’s no sign of these important tools slowing down. 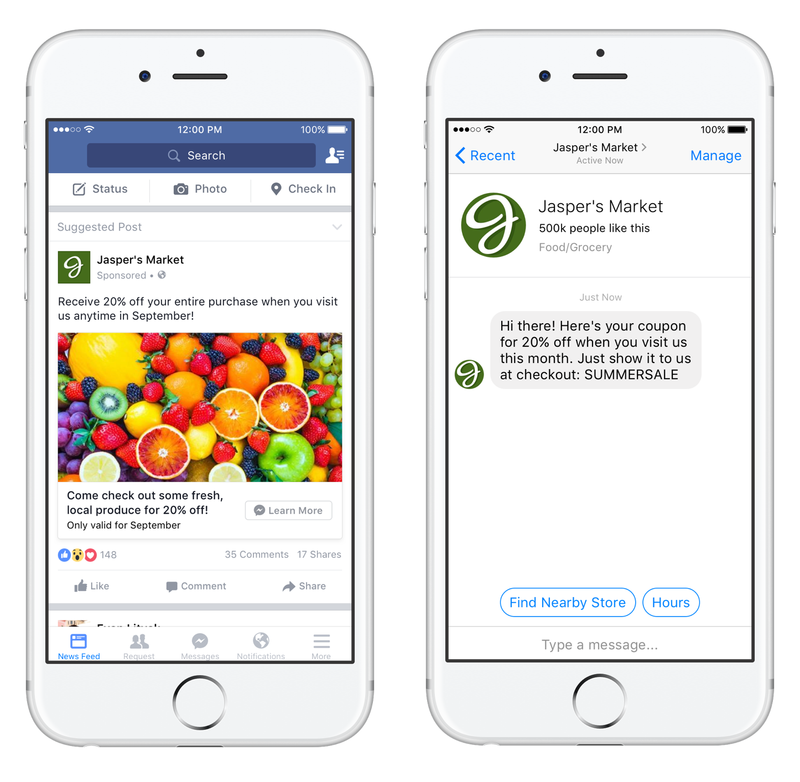 Many businesses have taken advantage of the infrastructure these tools provide to communicate and provide value to customers but Facebook Messenger, in particular, has offered even more potential with the use of chatbots and automated marketing messages. Gartner suggests that 25% of customer service will utilise chatbots by 2020. Unless you’ve been under a rock for the past two years, you’ll have noticed the rise of social media stories and the format as a whole, but what does this mean for you and your marketing efforts? One shift that the stories brought to social media marketing is a much shorter lifecycle to content, usually disappearing after 24 hours. It’s important to know how and where to invest your time and budget when it comes to content creation with this in mind. Post your best stories first – Capture your audience’s attention quickly or they will exit in search of something else. Post Consistently – Your stories don’t have to be complicated. Sometimes simple, static graphics and quick explainer videos can actually work better in this format that professionally-produced videos. Calculate your own data – Keep a close eye on the following to ensure that you’re continually improving: completion rate, story impressions, exit rates and stories’ post timing & length. The Continued rise of Voice & Audio. Since the introduction of Siri by Apple in 2011, we’ve seen significant strides forward in areas such as natural language processing, neural networks and machine learning. 20% of Google mobile queries are now made through voice, and only this week, Amazon announced that over 100 Million Alexa-enabled devices have been sold to date. This new behaviour has certainly reached critical mass and offers many opportunities for digital marketings to reach new audiences. Firstly, have you factored voice into your Search Engine Optimisation plans? With the knowledge that an ever increasing segment of search traffic will be done through voice, have you named your landing pages in a way that it easy for Siri, Alexa or Google Home to understand? Secondly, creating audio content as part of your digital strategy can lend itself to the rise in voice technology. This could come with podcasting, a medium that continues to become more important in building a dedicated audience online. Using platforms such as Soundcloud and Spotify as well as Apple Podcasts ensures you can maximise the reach of your content. While there has been a traditional reluctance of many CEO’s and business owners to embrace social media and other digital tools to grow their own brand, this is slowly starting to shift. Developing a strong Linkedin presence is a great starting point, but creating engaging content that provides value can be extremely beneficial in giving a face to your organisation online, build trust with potential users or customers, and also driving new applicants. Niall McGarry, founder of Maximum Media and the name behind many Irish media brands such as Joe.ie and Her.ie, maintains an active Twitter presence and also gave a great interview to Joe’s Architects of Business show, check it out here! There continues to be a large opportunity for Irish businesses owners to take advantage of this, something the next generation of industry leaders will certainly take into account as second nature. With all the above trends in mind, it is true to say that there’s sometimes too much of a focus placed on the new shiny technique or platform. Sometimes you can be too early to the party and fail to see any short-term benefit from a particular marketing tactic. It’s important to assess what’s right for you and always ensure you retain a clear focus on both your business objectives and audience.